Here you can discover people from the Armadale-Kelmscott, district who served in the Second World War 1939-1945. View alphabetical listings of all World War Two soldiers, nurses, and sailors in the BirtwistleWiki. The Hart family during WW2. 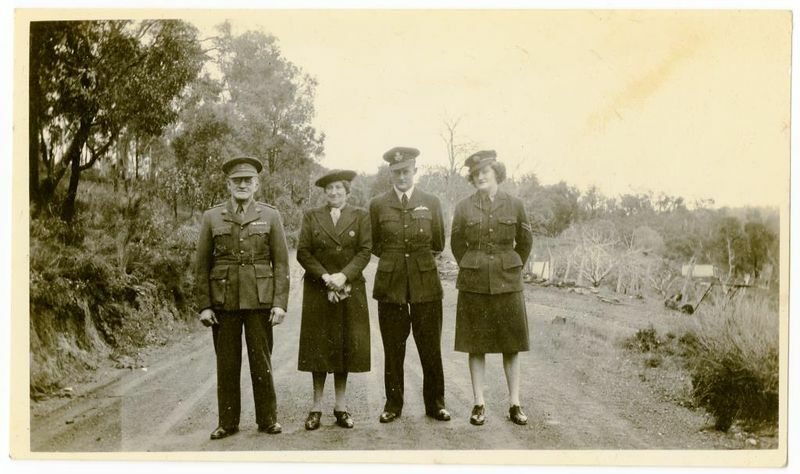 Bill Hart in Home Guard uniform next to wife Lina Hart, their son William ‘Jack’ Hart in RAAF uniform, and Helen ‘Nell’ Petersen (nee Hart) in RAAF uniform. This page was last edited on 17 April 2019, at 16:12.